Everything in this world has a base on which it stands. Engagement is for Marriage. Before tying the knot everyone wants to makes the decision smooth and promising by a primary promise called engagement. And the way is engagement proposal. People around the world try various ideas for their engagement proposal. 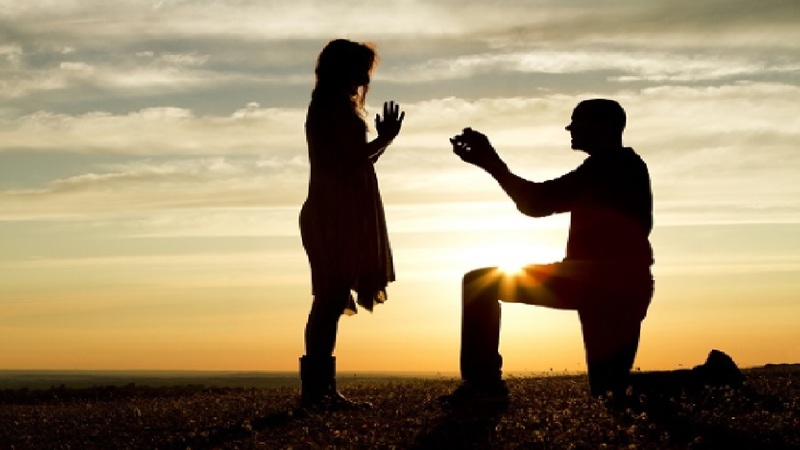 Everyone tries to make it, Engagement proposal special for his/her special one. Engagement proposal is a part of Marriage journey. It’s the beginning of a beautiful journey. Your life and environment started to change after this. Some people like to keep it in lavish and some like to keep it private. Some play it in a massive way some try it in the easy and simple way. In Asia, most countries arrange a ceremony, especially for engagement.B ut in Europe people keep it between them. So today we’ll discuss only 10 easy ways of engagement proposal. These are so easy and applicable ideas. Your partner may be so happy with your unique ideas. We talk about those ideas that may create your engagement proposal as a remarkable incident for a lifetime. Go to the beach. Write down your feelings in short and big letters. Put the ring in the middle in something eye-catching object. You may decorate a heart shape with red rose .And take her/him and ask her/his hand for the rest of the life. If you want you can keep some family members or close friends with you. Trust me the environment will add some extra spice to your special day. Flash mob is one of the craziest, surprising, and wonderful ideas for an engagement proposal. So many people are doing this nowadays for proposing his/her special one. You can gather some of your expert in dance or act friends or some professional for this. Do something crazy and at the end go to her/him and propose to him/her. Another classic and romantic idea is candle light dinner. Mature and reserve people like to keep their private life private. They want to make their special events between them. So just for two candles light dinner is a perfect idea. You can drop the ring in wine glass or hide it in any special cake and then ask her/his hand when s/he will see it. You can hire some violin player at that time. This will add the goose bum to your event. Arrange so many red roses. Collect the Patel. Mix the ring with them. Gather all of them in a Balloon. Ask her/him to pin the balloon and s/he will get the ring with so many flowers. This is the easiest way for the engagement proposal. Gas balloon is another easiest way for engagement proposal. Write down your proposal on placards and tie them with balloons. Then show them to her/his one by one and leave it in the air. Let your love mix with the air. A Flower Park is the easy way for an engagement proposal. Take her any flower park where thousands of flowers are smiling at you. Go on your knee with the ring. Utter some romantic lines for her/his. Surely it will bring the joy of happiness in his/her face. If you can sing, then use it in you propose an idea. Sing her/his favorite song, or any romantic song. Then say whatever you want to say. Don’t forget to take the ring. This is a very romantic and simple idea for an engagement proposal. Take your lover on an evening sea beach walk. There will be only you two and as background Music Sea will sing its song. And sudden go on your knee with the ring. And then ask her rest of life with you. Another Simple idea is projector picture showing. Collect some romantic and touchy picture of both of you. Add there some romantic tagline. Show her/his one by one and at the last line ask for Yes/no. It’s a very simple, sweet idea for proposing someone. Take her on a calm boat riding. Say some romantic taglines or whatever you want. Show the ring and ask her/him for the approval of marriage. Engagement to marriage period is very strange period. It says that it is the thing time of your relationship or understanding of your partner. So try to make it as much as special for your special one. And through it show her/him a beautiful dream of happy marriage.